Peddle your way around Cornwall for the best countryside and coastal views. Exploring Cornwall’s countryside and coastline by bike offers idyllic views accompanied by glorious fresh air. Plan your Cornish cycling adventure with our guide to cycle routes and bike hire in Cornwall. Cycling around St Ives is perfect for avoiding traffic and busy car parks. Best of all, you can easily get onto the lovely coast road (the B3306) which can take you to Zennor, St Just, Sennen and Land’s End. 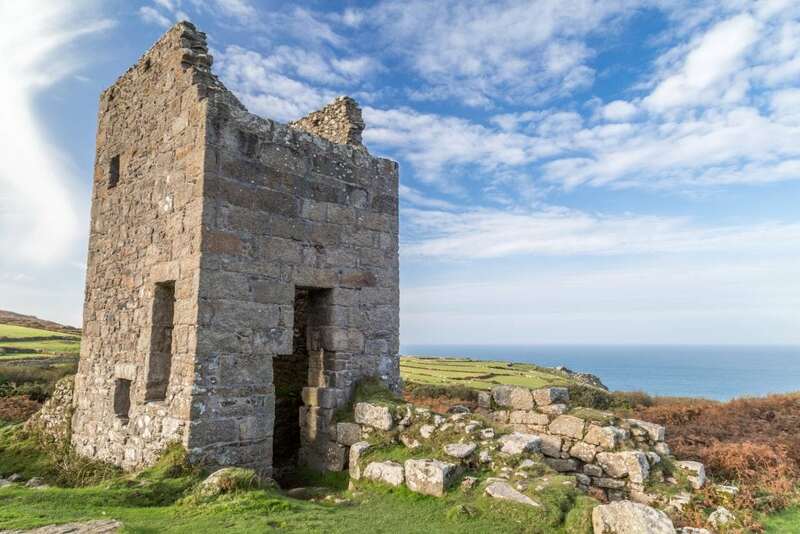 Cycling from St Ives to St Just via Zennor is a challenging but captivating route which takes you through rugged moorland landscape, breathtaking cliff-top views and disused mine shafts. If you haven’t brought your own bikes on holiday, West Cornwall Bike Hire in Gwithian near Hayle has a great selection of bicycles. You can arrange to have your bikes delivered at the start of your cycling holiday in Cornwall. Let the adventures begin! This beautiful coastal trail goes all the way from Hayle to Land’s End. The whole trail is 25 miles but why not choose a short section to complete? The First and Last Trail has a combination of on-road and off-road sections. If you’re looking for family cycling routes in Cornwall, the section between Penzance and Marazion is ideal. 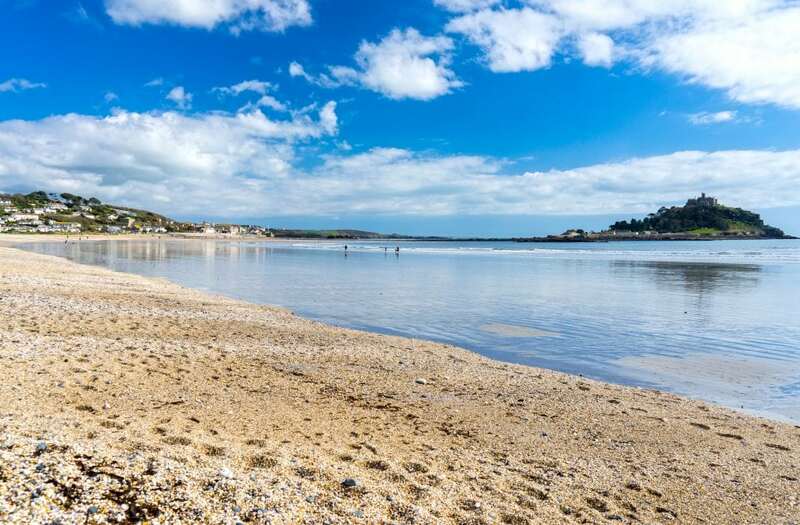 This off-road section follows the south west coast path and the trainline, with spectacular views of St Michael’s Mount along the way. Alternatively, leave Penzance in the opposite direction and cycle through the picturesque fishing villages of Newlyn and Mousehole. Both have shops, galleries, pubs and eateries so that you can explore and refuel before your onward journey. Penzance Bike Hire Torwood and Hayle Cycles, where you can also hire electric bicycles, provide bike hire in Cornwall for this route. 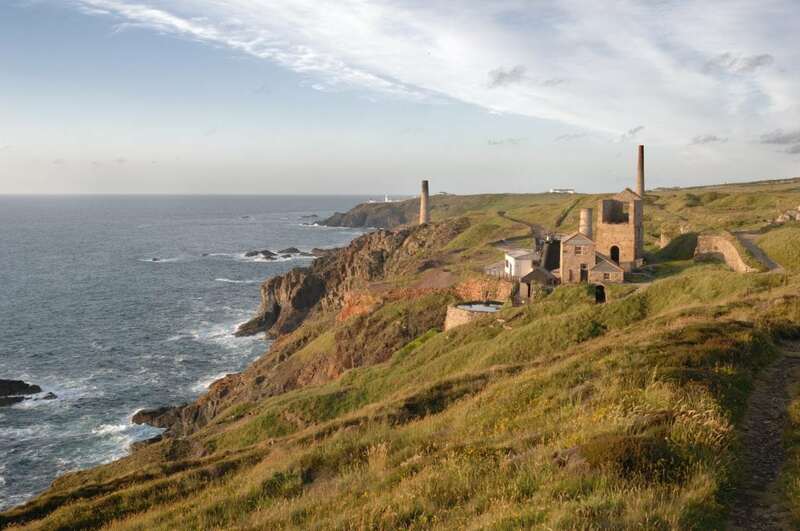 Discover Cornwall’s mining history with the scenic Tin Coast Cycle Trail. This Cornwall cycle trail begins in Botallack and leads you towards Cape Cornwall. You’ll be surrounded by colourful Cornish hedgerows and historic buildings and remnants of Cornwall’s tin mining past. Once you’ve reached Cape Cornwall, take a break to relax and take in the atmospheric coastal views. When you’re ready for more, retrace your steps (or wheels) and follow the coastal path in the other direction to the Crowns engine houses. Carry on towards Levant Mine where you can have a guided tour and imagine scenes from Poldark. Land’s End Cycle Hire and Cape Cornwall Cycle Hire are two great places for your bike hire in Cornwall if you’re embarking on this cycle trail. This 17.5 km long coast to coast cycle route connects the historic mining harbours of Portreath. This cycle route in Cornwall is a great way of seeing both coasts and taking in some spectacular rural scenery in between. Hire bikes at the Mountain Bike Hire or the Hub Portreath Bike Hire and Coffee Shop and leave the rugged Atlantic coastline behind you. This mostly off-road route towards Devoran on Restronguet Creek can be cycled by anyone of average fitness. The Coast to Coast Trail takes you through ancient woodland and historic mining sites before arriving in Devoran, a tranquil village on the banks of Restronguet Creek. Stop for lunch at the Old Quay Inn before you return to the north coast. If you’re happy to venture further afield for an off-road route suitable for all abilities, try the Camel Trail. 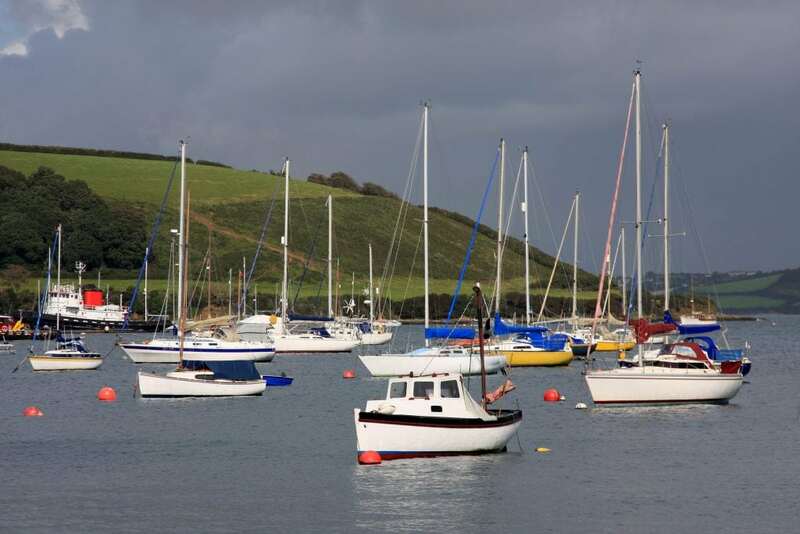 Hire bikes in Wadebridge and either take the coastal route to Padstow for Rick Stein’s fish and chips, speedboat trips and souvenir shopping, or choose the rural route through countryside and woodland to Bodmin. Stop off at the Camel Trail Tea Garden or the Borough Arms en route. Ready for your Cornwall cycling adventure? Hopefully you’ve been inspired by our recommendations of cycle paths in Cornwall. It’s also worth noting that Go By Cycle deliver bikes to your door (and also paddle boards and kayaks for watersports enthusiasts). Browse St Ives apartments and holiday cottages and start planning your cycling holiday in Cornwall.